American Rag is a vintage treasure trove, delighting Melbournians with unique finds for over 22 years. Everything in the stores is hand picked to ensure the finest range is available. Owner Eileen, American born, Australian residing vintage pioneer is the brains and the braun behind the operation that is American Rag. She is well known for her vintage knowledge and her eye for incredible product and it is because of this that American Rag is such an integral part of Melbourne’s vintage soul and has remained so for such a long time. We had a chat to Eileen in the lead up to National Gallery of Victoria’s exciting exhibition The House of Dior: Seventy Years of Haute Couture. 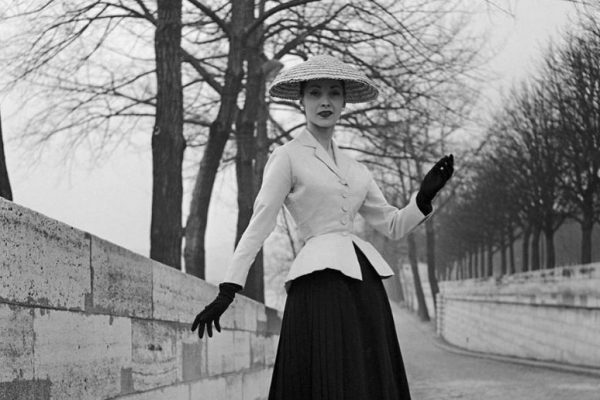 What is your favourite iconic Dior moment? The beginnings of the House of Dior and the New Look! The nipped waist frocks with miles of fabric in the skirt celebrating women’s curves! Have you ever had a really amazing Dior vintage find? Did the item find a good home? I have found a few amazing Dior pieces over the years. A favourite find was a dress and matching coat that had been separated and found a few days apart. The pieces were late 1960’s from an early Marc Bohan collection. The purchaser was a stunning tall woman from Korea on business in Melbourne and one happy customer! I’m now really inspired by the NGV House of Dior exhibition, what are some tips to make me feel like one of the fabulous famous and well dressed in vintage without looking like I’m costume dressing? The key to wearing Vintage is to find pieces that fit well and compliment your figure. We have had women from the Dior conservation team shopping at American Rag. Its a true compliment when women who work the most amazing couture vintage garments are excited by American Rag’s collection and purchase pieces from us to add to their personal collections!